Entering the 2018 Desafio Inca Rally with the goal of further familiarising themselves with the demands of racing in the sand dunes of Peru, Pablo Quintanilla and Andrew Short have claimed a spot inside the top-six on stage one of the event. 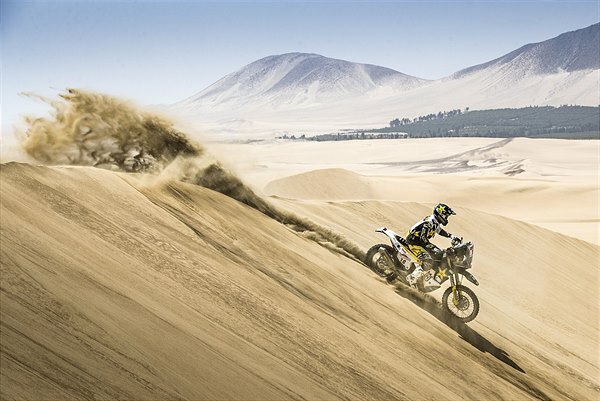 Making a strong start to the rally, the Rockstar Energy Husqvarna Factory Racing team duo look to continue gathering experience ahead of the coming Dakar Rally in January. Download high-res images from the 2018 Desafio Inca Rally here.